AUGUSTA, Maine — Democratic U.S. Rep. Mike Michaud will formally announce his candidacy for governor Thursday in Lewiston, according to his campaign. In June, Michaud set up an exploratory committee and began raising money — both of which are traditionally strong signs that someone has entered a race. Until Wednesday, when his campaign sent out a press release, Michaud had not made his candidacy official. Michaud, who has served in the Legislature and then Congress for three decades, will make his formal announcement at noontime Thursday at the Franco-American Heritage Center at 46 Cedar St. in Lewiston. 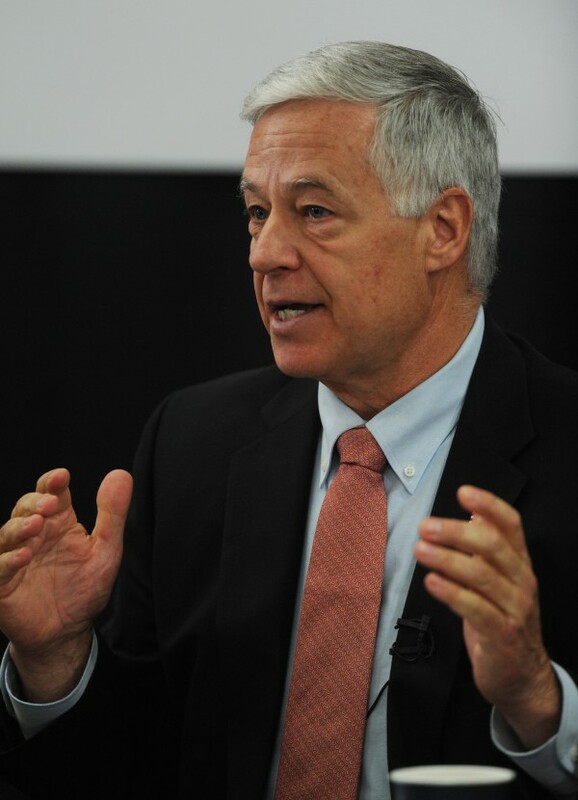 Michaud will likely face off against Republican Gov. Paul LePage and independent Eliot Cutler — neither of whom have made formal declarations of their campaigns — as well as Democrat Steve Woods and former Maliseet Rep. David Slagger. LePage told reporters Wednesday morning that Michaud’s announcement came as no surprise. “Frankly when he announced an exploratory committee, we knew he was in,” said LePage.